2 Bdrm Semi-detached Dwellhouse. Ground flr: Lounge. Kitch. Bathrm. 1st flr: 2 Bdrms. 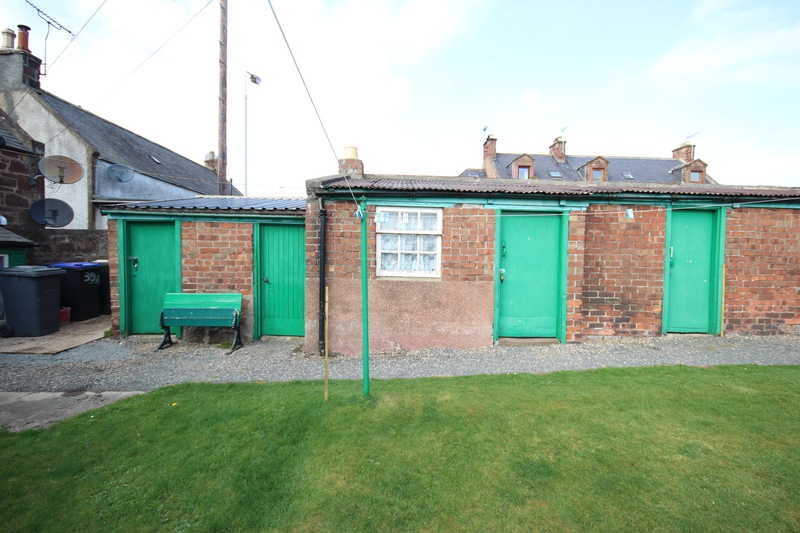 Outbuildings (CT band - B). Garden. Price around £78,000 Entry by arr. Viewing contact solicitors. (EPC band - E). 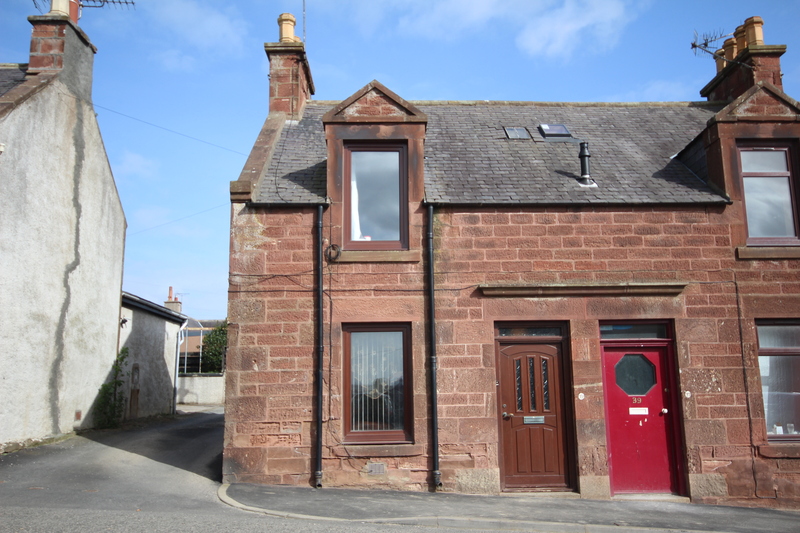 This is a traditional stone built end terrace dwellinghouse which would benefit from upgrading. 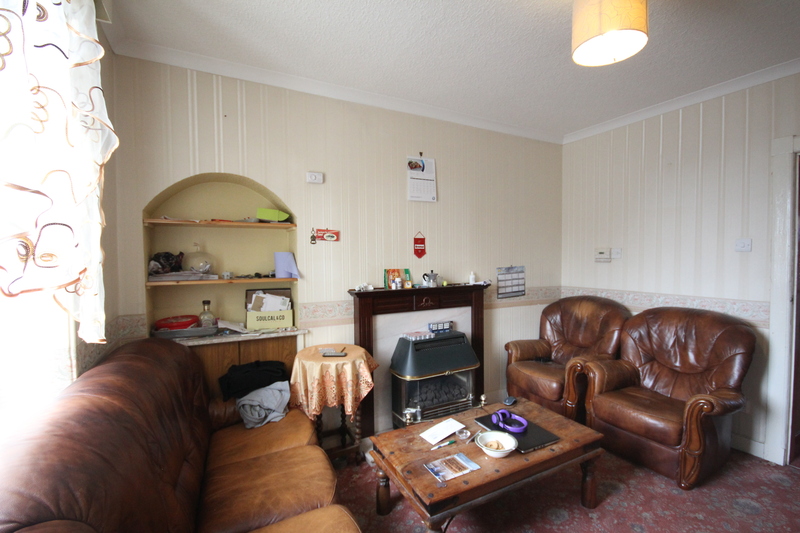 Conveniently situated near the town centre and offering a good development opportunity, the property currently benefits from gas central heating and double glazing. Lounge (11'9" x 11'/ 3.6m x 3.3m at widest point) With fire surround housing coal effect gas fire, alcove with cupboard below housing gas meter, fitted carpet and central heating radiator. Kitchen (8'3" x 5'7"/ 2.53m x 1.74m) With range of base and wall units, vinyl flooring and central heating radiator. Bathroom (6'7" x 4'9"/ 2.04m 1.49m at widest point) Mira Sport shower over bath, wash hand basin, w.c., vinyl flooring and central heating radiator. Bedroom 1 (14'9" x 12'4"/ 4.54m x 3.38m) With built in wardrobe, fitted carpet and central heating radiator. Bedroom 2 (14'5" x 7'6"/ 4.42m x 2.32m) With built in wardrobe, fitted carpet and central heating radiator. Garden At the rear of the property there is a drying green and outbuildings. ITEMS INCLUDED All fitted carpets, floor coverings, blinds and light fittings. Location Turriff is a town with a population of approx. 5,000. 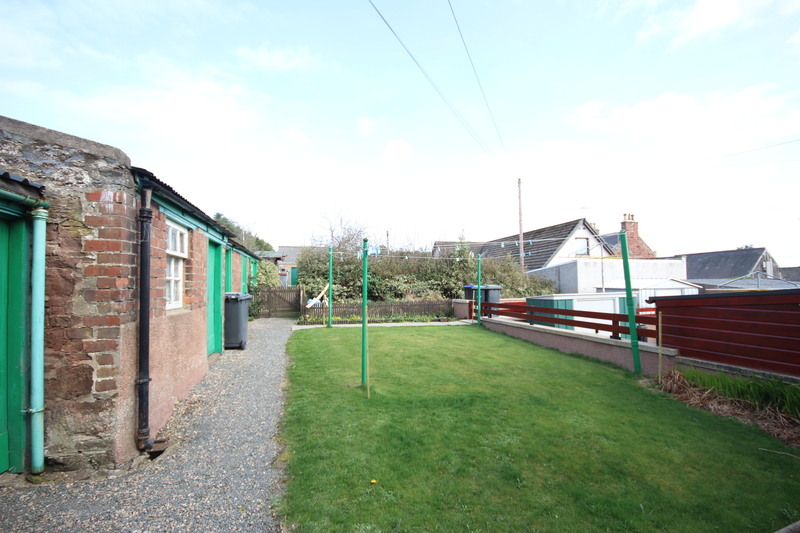 It has a Primary and Secondary School and a range of shops and other facilities including Swimming Pool, Bowling Stadium, Library, Community Centre, Sports Centre, Golf Course and fishing on the River Deveron. Aberdeen is approx 35 miles distant.